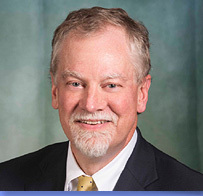 Virginia Beach lawyer Steve Emmert started his Web site, Virginia Appellate News & Analysis ( www.virginia-appeals.com ), in January 2005. In a video introduction at the site, he explains his reasons: His personal passion, he says, is appellate law. The site is intended as “a service to Virginia lawyers who (tend) to regard appellate practice as something of a deadline minefield,” he adds. Every seven weeks, when the Supreme Court of Virginia issues a new batch of opinions, he provides same-day analysis, highlighting the most significant cases. He is now performing the same service for the Courts of Appeals, which issues opinions every Tuesday. Part public service and part clever guerrilla marketing device, the site is “changing appellate work in Virginia, for the better,” according to Kevin E. Martingayle, a litigator from Virginia Beach. Emmert is one of a handful of lawyers who have been honing the specialty of appellate advocacy. He provides “free advice all the time,” said Martingayle. This passion for his work has made Emmert one of the go-to lawyers in the commonwealth for an appeal. For example, Richmond lawyer Lewis T. Stoneburner has enlisted Emmert’s aid in the upcoming appeal involving charitable immunity for doctors at the state’s teaching hospitals. Stoneburner has handled plenty of appeals to the Supreme Court of Virginia himself, but Emmert will write the briefs and handle the actual argument before the high court. Appellate work involves strict attention to details of procedure. Stoneburner praised Emmert in this regard: “He is so abreast of the law and so current on the rules of the Supreme Court and the procedures,” he told Virginia Lawyers Weekly. And Emmert is a tireless evangelist for his specialty, appearing frequently as a CLE speaker at bar meetings and seminars to talk up appellate work. For example, he was at the Virginia Trial Lawyers Association’s Solo and Small Firm Conference in Richmond last month. In January, he is appearing at an ALI/ABA conference in San Francisco. Emmert, who practices with Sykes, Bourdon, Ahern & Levy, is chair of the appellate practice subcommittee of the Litigation Section of the Virginia State Bar. Rarely has a section subcommittee chair been so busy. Back in the spring, the Supreme Court approved the creation of a panel of lawyers to help indigent, unrepresented parties who are awarded a civil appeal. Supreme Court Clerk Patricia L. Harrington and Emmert spearheaded the project. The number of cases that actually will go to this panel is small — three or four a year, Harrington said. But it nonetheless is a valuable service to the public. The pair is working on a similar arrangement for criminal appeals in which counsel for some reason cannot continue up the appellate ladder.